We had a busy, fun filled Memorial Day weekend in Houston where we packed in a baseball game, firework show, 2 museums, an Imax movie, a butterfly exhibit, and a trip to the Space Center all into less than three days. Needless to say a day at home unpacking and doing laundry was a bit of a letdown for the kids. I wish I would have seen these catapult paper airplanes from Mini-Eco yesterday. That might have saved me this afternoon when the 'I'm bored' blues set in. At least I will be prepared tomorrow. The directions for these planes came from The Usborne Big Book of Science Things to Make And Do that we will be checking out from the library ASAP! It looks like it is full of fun boredom busters. 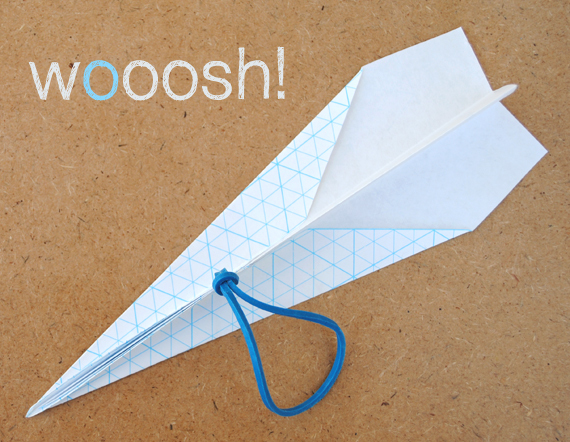 And to get you started you can check out the tutorial for the paper airplane catapult HERE.